If you would like to upload further training opportunities, please register and login or contact the team. Around the globe, an increasing number of private and public companies are realizing that promoting gender equality in the workplace is good for business and development. 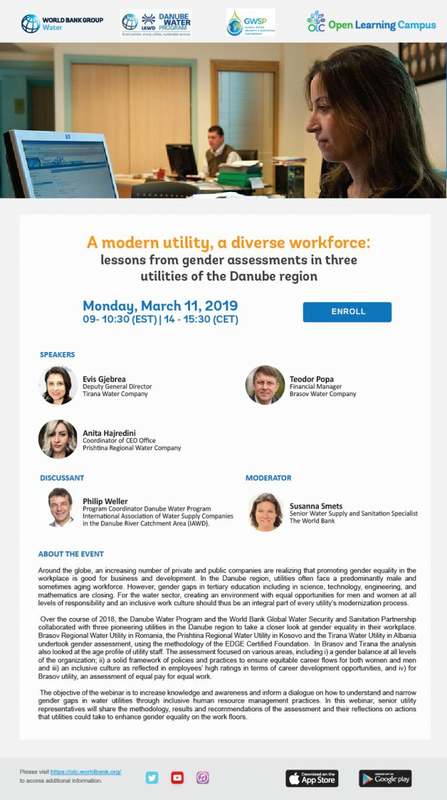 In the Danube region, utilities often face a predominantly male and sometimes aging workforce. However, gender gaps in tertiary education including in science, technology, engineering, and mathematics are closing. For the water sector, creating an environment with equal opportunities for men and at all levels of responsibility and an inclusive work culture should thus be an integral part of every utility’s modernization process. Over the course of 2018, the Danube Water Program and the World Bank Global Water Security and Sanitation Partnership collaborated with three pioneering utilities in the Danube region to take a closer look at gender equality in their workplace. Brasov Regional Water Utility in Romania, the Prishtina Regional Water Utility in Kosovo and the Tirana Water Utility in Albania undertook gender assessment, using the methodology of the EDGE Certified Foundation. 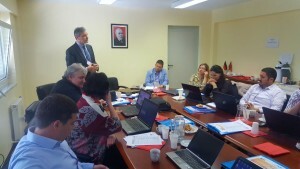 In Brasov and Tirana the analysis also looked at the age profile of utility staff. The assessment focused on various areas, including i) a gender balance at all levels of the organization; ii) a solid framework of policies and practices to ensure equitable career flows for both women and men and iii) an inclusive culture as reflected in employees’ high ratings in terms of career development opportunities, and iv) for Brasov utility, an assessment of equal pay for equal work.The objective of the webinar is to increase knowledge and awareness and inform a dialogue on how to understand and narrow gender gaps in water utilities through inclusive human resource management practices. In this webinar, senior utility representatives will share the methodology, results and recommendations of the assessment and their reflections on actions that utilities could take to enhance gender equality on the utility floors. * Speaker Ms. Evis Gjebrea, Deputy Director, Tirana Water Utility. DEX summer school started in 2009 and was successfully continued since then with more than 170 young water professionals from 12 countries. The 2018 program follows the strategy of maintaining basic lectures enriched with new topics of interest. All teachers are internationally well recognised academics with long term scientific and practical experience in the field of their lectures and beyond: A unique opportunity. The content of the course includes: advanced scientific background, state-of-the-art technology, experiences and practical aspects for the design and operation of sewer systems, wastewater treatment plants, sludge treatment and energy management. Special emphasis is on participation of young professionals from the new EU member states and accession countries in Eastern Europe. The fee amounts to € 390.- and includes full board, the bus transfer to the accommodation and excursions. Please register until 25th May 2018 (by fax or e-mail), using the attached form. The Compendium of Sanitation Systems and Technologies developed by the Swiss FederalInstitute of Aquatic Science and Technology (EAWAG) is a well-known and highlyappreciated tool for sanitation practitioners. The Compendium presents a huge range ofinformation on sanitation systems and technologies and is a useful planning tool for makingmore informed decisions. It is already available in several languages, and SDC has nowsupported its translation into Russian.SDC is offering a series of training workshops on the use of the Compendium for countries inEastern Europe and Central Asia. Trainings have been organised in Tajikistan andUzbekistan in March 2018 and a further regional training seminar will now be held inMoldova. The seminar is open for participants from Moldova, Ukraine and the Caucasusregion. IWA, University of Zagreb, IHE Delft Insitute for Water Education, IAWD etc. The 10th edition of this successful conference format will be organised in Zagreb in 2018. The focus will be on "New Technologies in the Water Sector" with a special extended program including three-days practical workshops at the WWTP of Zagreb, followed by a two-days scientific conference. Please find the Call for Papers below! Abstract deadline has been extended to the 15 January 2018. The IWA Water Loss Specialist Group, together with City Of Cape Town, will host the biennial Water Loss Conference and Exhibit from 7 to 9 May 2018 at the Century City Conference Centre and Hotel in Cape Town, South Africa. The Water Loss Conference and Exhibition 2018 will be one of the world’s largest water loss conferences and is expected to attract over 500 participants from more than 50 countries. Many of the world’s leading experts in the field of Non Revenue Water Management will be present and will discuss the latest developments, strategies, techniques and applications of international best practices as well as successful case studies. In addition they will present a 1-day pre-conference workshop on 6 May 2018 to provide an introduction to the issue of Non Revenue Water Management and an overview of the latest IWA Methodology for reducing water losses from Municipal water supply systems. Sponsorship opportunities are now available to all service providers who have an interest in water loss reduction. The opportunity to showcase your products and services to the largest group of water loss specialists is not to be missed! The course features 5 days dedicated to the core responsibilities and activities of water utility regulatory authorities with regard to the oversight of the regulated utilities, principles and practices of tariff setting, performance benchmarking, and new developments in the regulation of the sector. 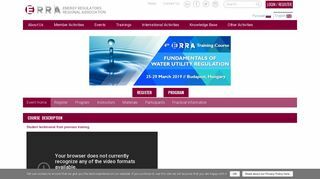 The level of the course is introductory: it aims to provide basic, but comprehensive training to the personnel of water regulatory authorities and water utilities. Participants will gain knowledge on key economic concepts guiding the operation of the sector, the challenges faced by sector participants including the wider problems of water management, and the role of the regulator and regulatory models including best practices. A core theme of the course is tariff setting and approval by the regulator: theoretical lessons will be supplemented by case study examples and a tariff setting exercise. Sufficient time will also be dedicated to the role of performance benchmarking in regulation. Dex Summer School started in 2009 and was successfully continued since then with more than 120 participants from more than 12 different countries. The 2017 program follows the strategy of maintaining basic lectures enriched with new topics of interest. As a special feature in 2017, part of the summer school will be held together with the summer school of the EU financed project POWERSTEP in Vienna, where innovative and cutting-edge research on creating energy positive wastewater treatment plants will be presented. Post graduate and doctoral students, young water professionals from consulting companies, utilities and equipment suppliers from all over Europe are welcome to apply. Special emphasis is placed on participation of young water professionals from the new EU and accession countries in Central and Eastern Europe (sponsoring of fee is possible with a separate application supported by a supervisor). More Information can be found in the pdf. SHUKALB has planned to deliver two training courses during June 2017, “Customer Service and Public Relations” and “Management”. The “Customer Service and Public Relations” training course will be delivered on 08-09 June, in Albania. 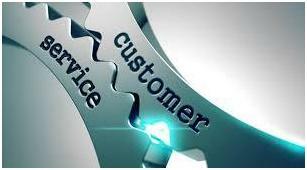 Customer service is one of the key functions of any water supply and sewerage company. This training course emphasizes the role of customer service and public relations in the success of water supply and sewerage company. The training course will address issues related to customer service principles, impact of organization and service personnel on the company’s commercial performance, client database management, customer impressions and complaints, management of meter reading, billing and collection. This course is valuable for customer service managers, as well as media and public relations specialists. The “Management” training course will be delivered on 15-16 June in Tirana. This training course is designed to emphasize the role of management in providing a more qualitative customer service. 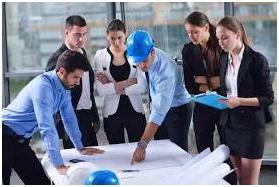 The course will address issues related to a manager’s daily responsibilities, such as communication, team building and management, problem solving, and decision making. This training course is particularly useful for general directors of water supply and sewerage companies, technical directors and managers. Registrations to the above training courses are now open! 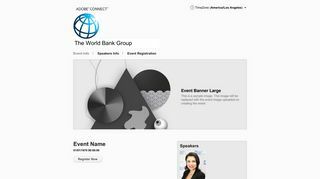 You can register online on SHUKALB’s website http://shukalb.al/sq/regjistrohu/ or by contacting SHUKALB at email addresstraining@shukalb.al. In 2016, the International Association of the Danube River Catchment Area (IAWD), under the support of the Danube Water Program, outlined a long-term strategic program for capacity building in the water supply and sewerage sector in the Danube region under the branded name, Danube Learning Partnership (D-LeaP). “Commercial Efficiency in Water Supply and Sanitation Utilities” is one of the D-LeaP Programs that the Water Supply and Sewerage Association of Albania (SHUKALB) and the Water and Wastewater Works Association of Kosovo (SHUKOS) have jointly to undertake as a HUB*. This capacity building Program is one of the building blocks of the training programs of D-LeaP, targeting a defined set of processes within water utilities operating in the Danube Region. To create a practical knowledge sharing program that will support water utilities operating in the Danube Region in the formulation and implementation of individual programs to strengthen their commercial performance. To facilitate the creation of an enabling environment for continuous and sustainable delivery of this knowledge sharing program in localized regions of the Danube Region, through qualified trainers, who can deliver the program in their local language. 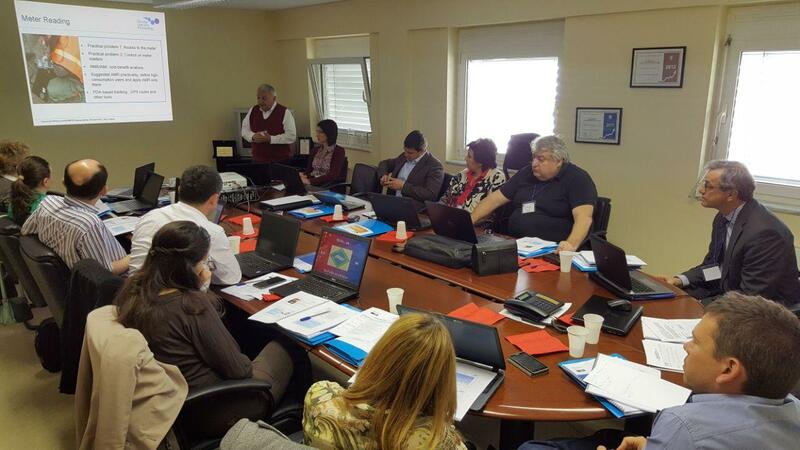 The first Training of Trainers Workshop of the Commercial Efficiency Program was organized on 26-28 April, at the Water Supply and Sewerage Company of Korca WSS, Albania. The training was attended by participants from three (3) HUBs under the Program, which were: SHUKALB/SHUKOS, Association of Public Service Providers of Macedonia (ADKOM) and the Water Supply and Sewerage Company of Brasov, Romania (APA Brasov). The preparation of all the training materials and the conduct of the ToT Workshop were done by Valu Add Management Services, a private company member of SHUKALB, contracted by IAWD under D-Leap. Three expert international trainers that delivered the training included Philip D. Giantris from Albania, Radoslav Russev from Bulgaria, and Bambos Charalambous from Cyprus. During the first two days of class room training, the participants were engaged in a parallel, practical training exercise related to completing a system Water Balance and on Unpaid Debt Analysis and Recovery. On the third day of the training, the participants, were hosted by several members of the Korca utility staff to see and experience, first hand, how a modern, Smart Meter system has been installed in Korca, and the benefits of its operations. They learned about the unique features of the meters, which they say actually being installed at a customer location; how meter data is transmitted from each meter to the central Customer Service Center, with no need for meter readers; and how the data is then analysed and downloaded to produce a bill for the customers. The ToT workshop was a success, for the fact that participants received all the necessary information and training, qualifying as future trainers for the staff of the water supply and sewerage companies in their respective countries. Valu Add Management Services will continue to assist them on this process. SHUKALB would like to thank the Water Supply and Sewerage Company of Korca for its great support in making their facilities and its talented staff available for both the classroom and field training. RENEXPO® BiH presents the most important platform for gathering investors, decision makers, representatives of ministries and municipal authorities, as well as business leaders in renewable energy, energy efficiency and environmental sectors. Together with the introduction of market potential in the region, investment and project opportunities, the side programs that we offer, are connecting around 700 participants each year, both local and international experts from all over Europe are discussing the latest developments, obstacles and finding practical solutions in RES, EE and Environment. Languages: English and Local. Simultaneous translation will be provided. Publication: The lectures will be downloadable from the conference participants only, after the event. Sponsorship: Be one of the main topics of the event! Present your company as the main sponsor in the trade fair area or at the conferences. Sponsorship options range from key rings to the evening reception. Our varied sponsorship package caters for all budgets. Talk or write to us and we will discuss a tailor made solution. The 2016 program follows the strategy of maintaining basic lectures enriched with new topics of interest. The contents of the course covers: Advanced scientific background, actual knowledge, experience and practical aspects for design and operation of: sewer systems, waste water treatment plants, sludge-handling and energy management. The course intends to analyze economic regulation of water and sanitation services and urban waste management from different perspectives and to explore the peculiarities of centralized and local allocation of regulatory tasks in relation to the nature of the service, specific policy objectives (consumer protection, equity, environmental targets, efficiency …), the historical and cultural background, the relationship between different actors and stakeholders, the influence - when relevant - of international actors like international organizations and financial institutions. The existence of multi-level systems of regulation will be also analyzed as an emerging trend. The course final aim is to provide participants with a broader overview on the objectives of regulation and with some hints to evaluate on a case-by-case basis what are the most suitable instruments and what is the best layer of intervention for a sound regulation: national, local or multi-level. That is why frontal lessons will be accompanied by the presentation of specific case studies and by interactive working groups. The 2016 Conference of the European Innovation Partnership on Water will be held on 10 February 2016 in Leeuwarden, The Netherlands, announced the EIP Water on 27 May 2015. If this is your event and you want to provide more detailed information, please contact office@danube-water-program.org.